New details for Bioware’s Anthem have emerged courtesy of executive producer Mark Darrah and lead producer Mike Gamble. While Darrah continues to field questions from fans, Gamble sought to address the difficulty of the demo showcased at EA Play 2018. Players will be able to join quests in progress, as you’d expect in any shared world title. However, like Monster Hunter World, there seems to be a time limit. Joining after this time has elapsed will result in limited rewards. That being said, Darrah said there will be “some reward” to encourage players to join late. So, much like Monster Hunter World, expect to receive something for helping out any Freelancers in need. To further drive this point home, Gamble revealed that two of the demo’s players were Bioware employees – producer Scylla Costa and QA project lead Jen Cheverie. “If you think they are newbs then they challenge you to beat their scores in February,” said Gamble. 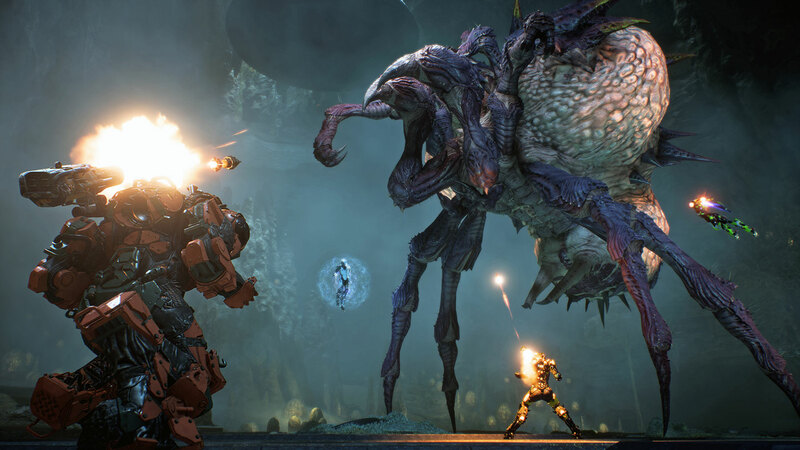 Anthem will be releasing on February 22nd for Xbox One, PS4 and PC after being delayed (but not really) from its initial Autumn 2018 release. For those of you wondering, @scyllacosta @jencheverie were two of the players from the demo. If you think they are newbs then they challenge you to beat their scores in February.